Inshore fishing in Saint Petersburg with YACHTFISH Fishing Charters is a trip you will not forget! YACHTFISH offers many different types of St. Petersburg Fishing Charters from flats fishing for Snook and Redfish to tackling huge Tarpon and Sharks in the waters of Tampa Bay. Think you’d like to try your hand at a St. Petersburg inshore fishing charter with us today? Lets discuss some of the most important things to consider when finding the Best Fishing Charter in St. Petersburg. YACHTFISH Fishing Charters is located in beautiful downtown Saint Petersburg at the city’s Municipal Marina just walking distance from the Vinoy Hotel. Our St. Petersburg fishing charters depart daily at 8am and we offer trips in a duration of 2,4,6 and 8 hour trips. Whether you are a novice or an experienced angler, we can accommodate your party. All of our fishing charters are provided with all of the proper licensing, bait, tackle and equipment to ensure your day with us is one to remember. As we depart the marina in downtown St. Petersburg into Tampa Bay we will head out to the fishing grounds. With so many amazing spots to fish in Tampa Bay our runs are never more than 10 minutes before your lines are in the water catching fish. You may even be greeted by dolphins and manatees or have a bald eagle fly over your head. YACHTFISH Fishing Charters uses only state of the art equipment and vessels equip with the proper safety equipment you will need for your day on the water. On your inshore fishing charter in St. Petersburg you will be aboard one of our 25ft Avenger custom bay boats with 300 horsepower to push them along comfortably to and from the fishing grounds. Our Captains are all Saint Petersburg natives with years of experience fishing the waters of Tampa Bay which is key to having a successful fishing trip. We will not only teach you different fishing techniques and how we target different species, but also share our local knowledge about St. Petersburg and its amazing fishery. Spring time in St. Petersburg is one of my favorite times to fish for Snook and Redfish in Tampa Bay. These fish can be found in large numbers making for some incredible fishing. They are in their transition mode from winter hibernation to their spring time locations and will eat about anything in their path. We primarily use live bait when targeting these fish with spinning outfits making it for a super fun fight on light tackle. As the summer months are approaching very quickly YACHTFISH Fishing Charters will be gearing up for Tarpon Fishing in Saint Petersburg. If you are looking for the ultimate adrenaline rush then look no further. We will be targeting these monster Tarpon and Sharks beginning in April and going through early October. Tarpon can provide a catch of a lifetime! These fish range in size from 50-200 pounds and can take up to an hour to land. 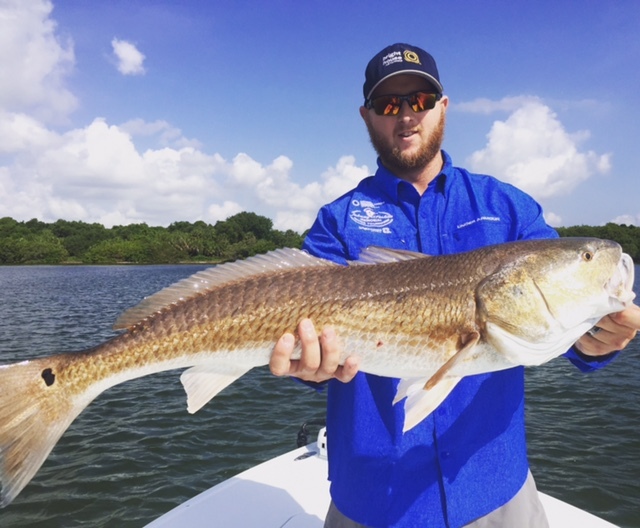 If you are looking for the Best Fishing Charter in St. Petersburg then YACHTFISH Fishing Charters has you covered for your next St. Petersburg Fishing Charters!